If you've ever found yourself staring at intricately woven pastries at your local bakery and wondered how they do it, you'd be surprised to know it's not all that difficult. 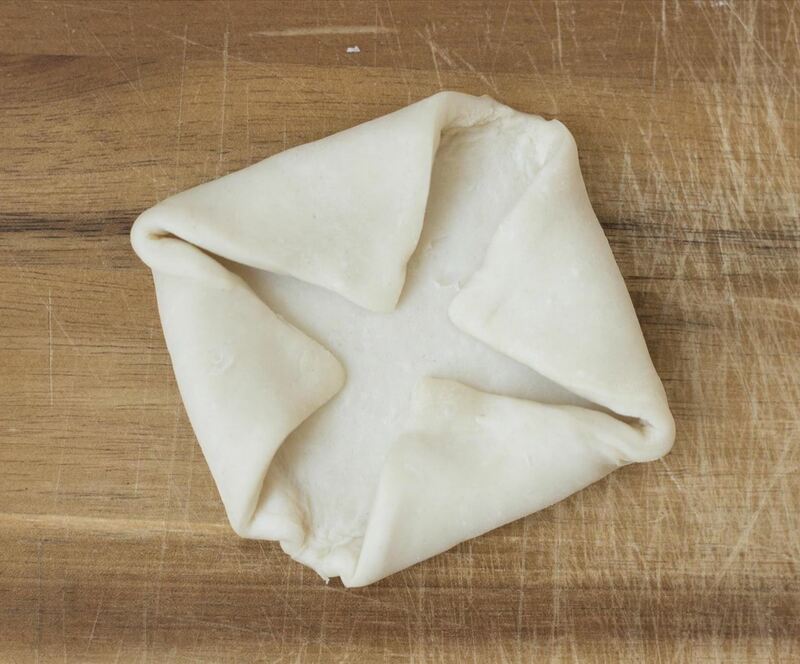 Those pastries with differing shapes and lovely lattice work may scream endless preparation and meticulous attention to detail, but they're actually quite easy to make at home. 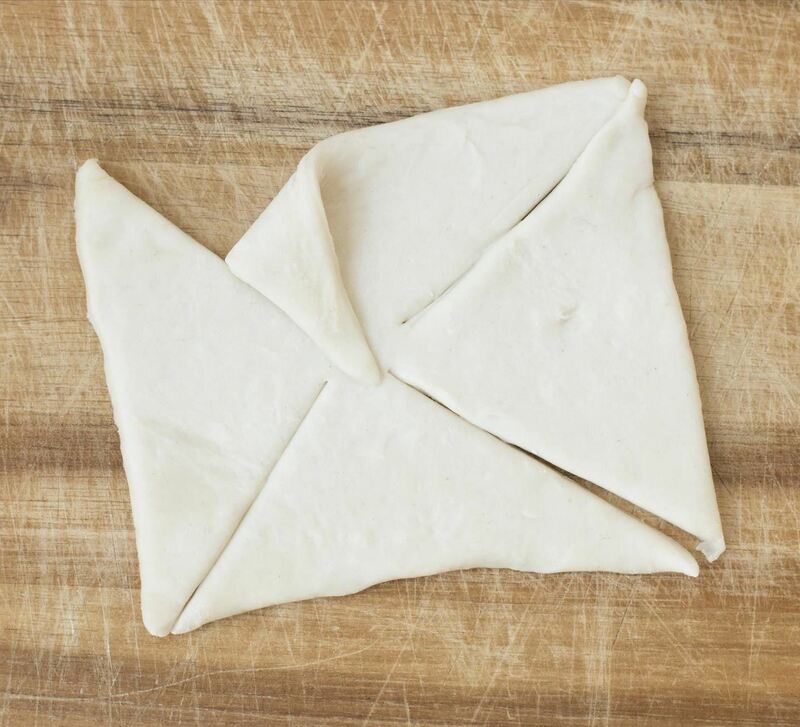 All you need to become a pastry pro at home is a packet of puff pastry dough, a knife, and some simple folding techniques. Here, we'll go over a few of the many styles that look complicated, but are really quite easy. 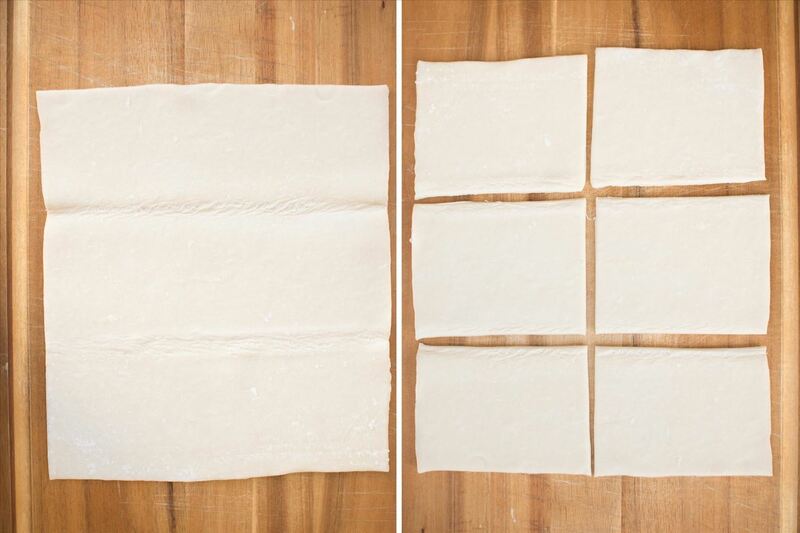 Take your puff pastry out of the freezer and let it thaw for 30-40 minutes before beginning to work with it. 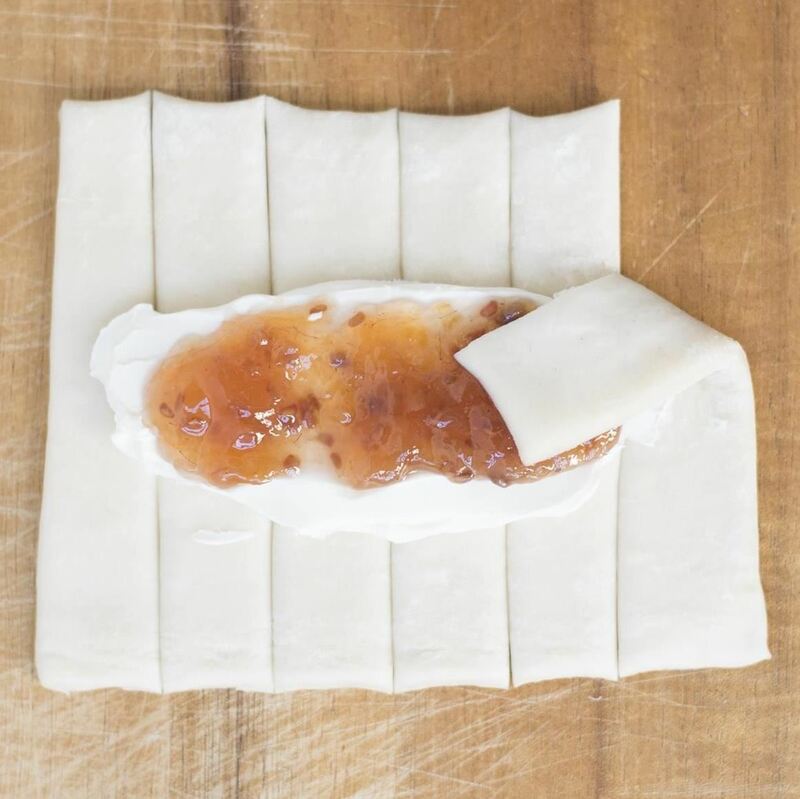 Once it is thawed, open one layer (there are typically two to a pack) on a cutting board and divide it into 6 even rectangles using a sharp knife. 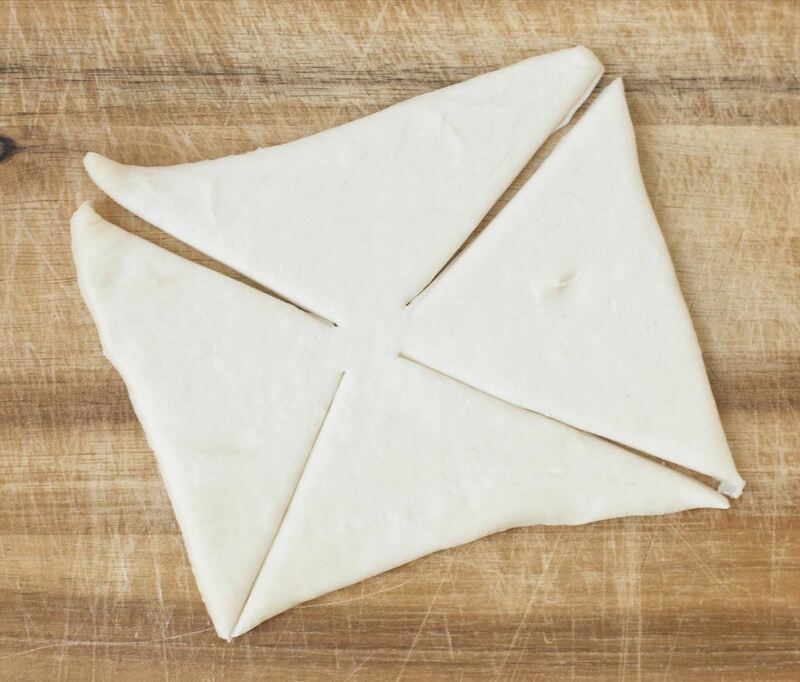 With your pastry rectangle flat on your cutting board, begin by bringing each of the four corners in towards the center. 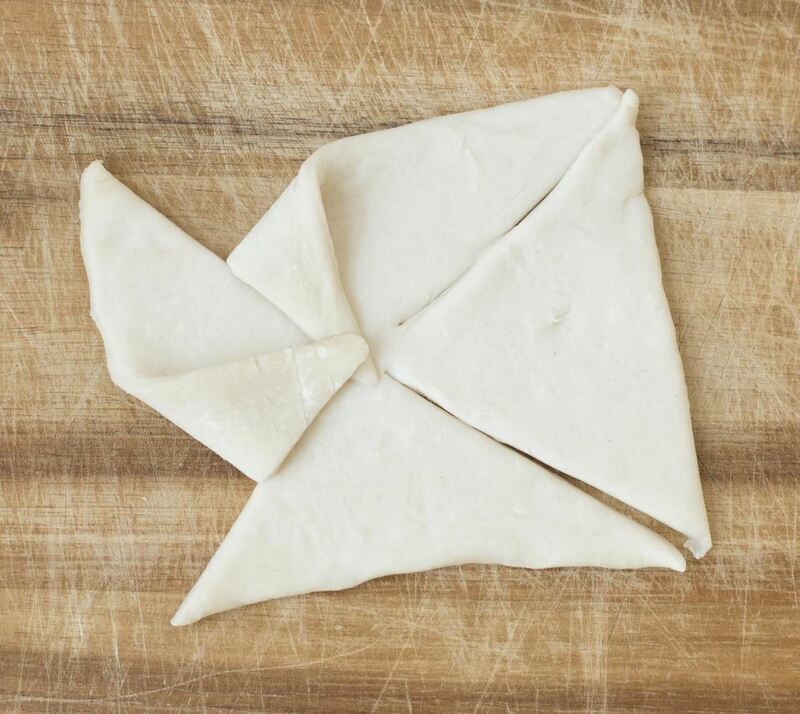 Press the dough down at the tip of each triangle to maintain the shape. 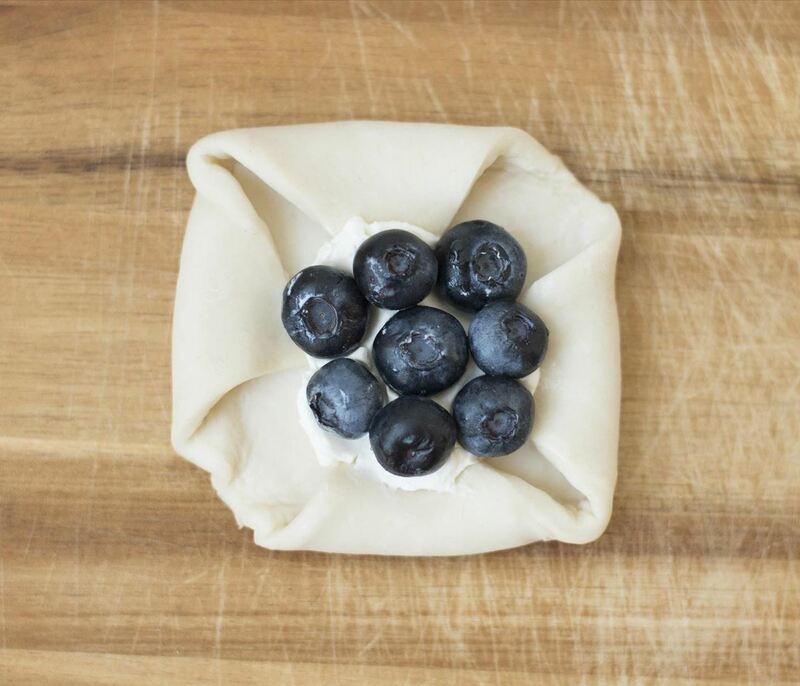 Spoon a few teaspoons of cream cheese and place your blueberries in the middle. That's it! 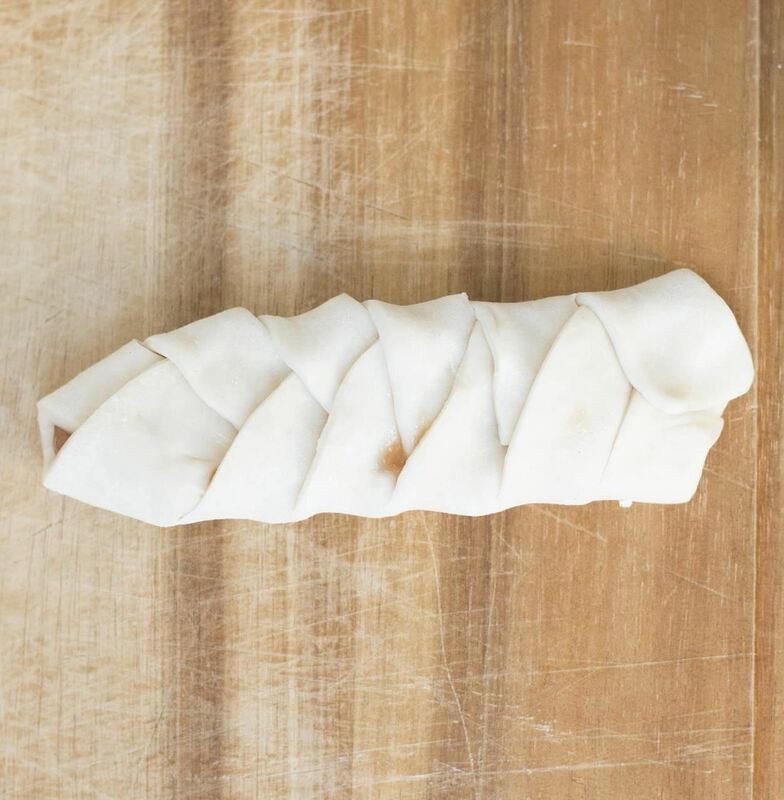 Now that you've gotten the hang of working with puff pastry, let's move on to something a little more complicated. First, use your knife to cut a slit diagonally from each corner to the center. 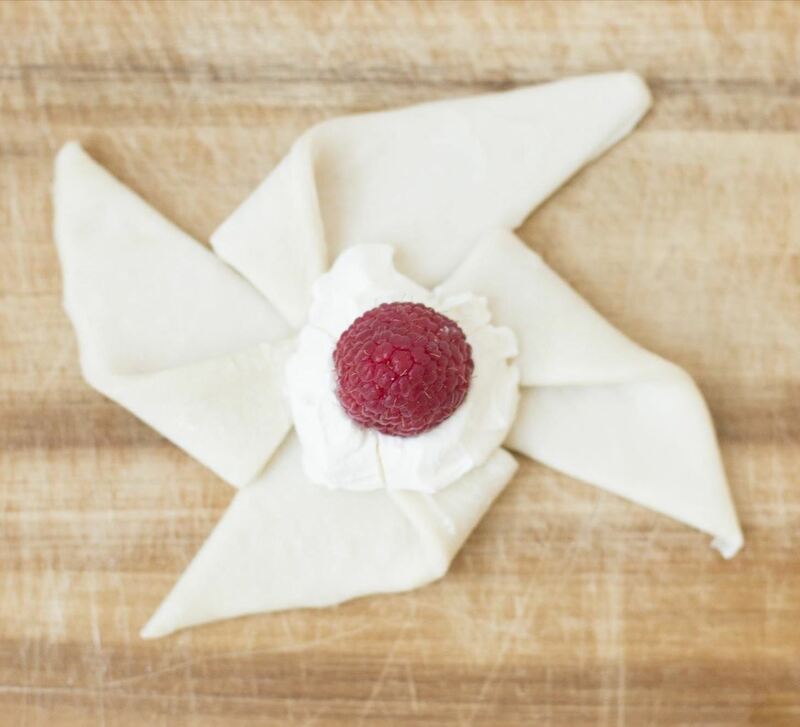 Spoon a few teaspoons of cream cheese, then place a raspberry in the middle. This whimsical shape is sure to be a crowd-pleaser. Lastly, let's look at the most complicated (but also one of the most common) techniques utilized in bakeries today. 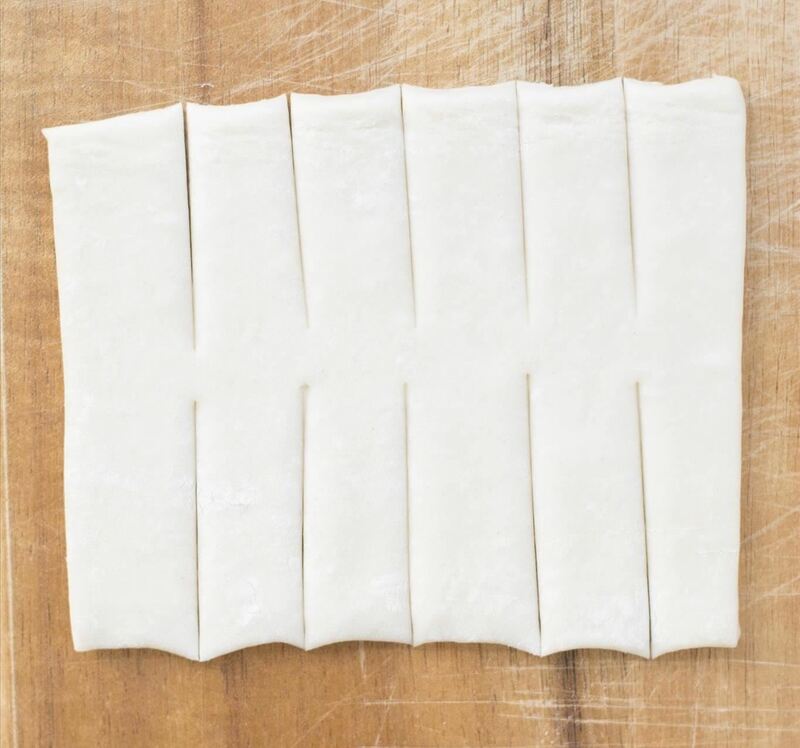 For this lattice-like shape, begin by cutting five slits in each side of the rectangle, leaving enough space in the center for your filling. 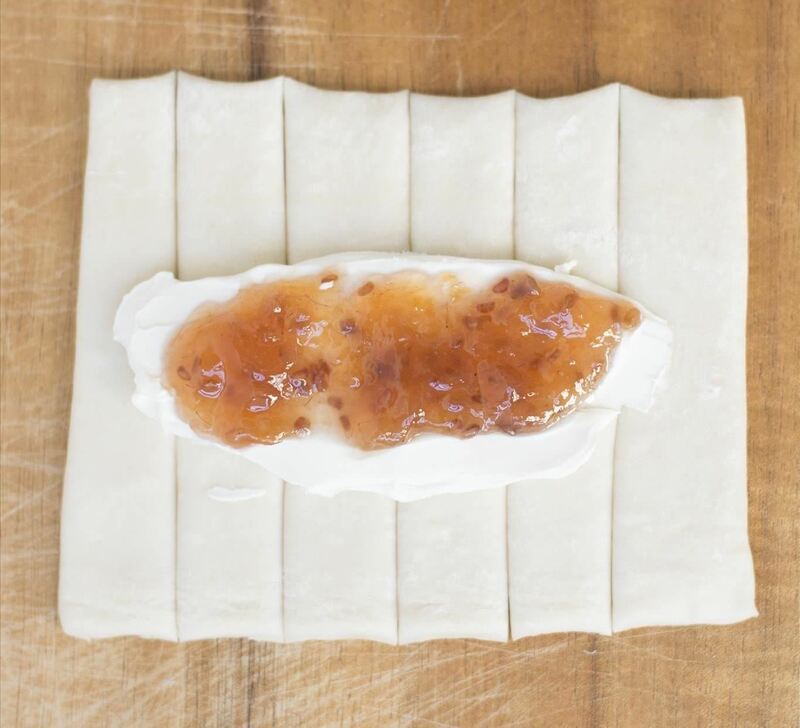 Place a few teaspoons of cream cheese in the center and smooth with a knife. Top with a layer of jam, jelly, or preserves. Choose a side to start from—we've chosen the right. 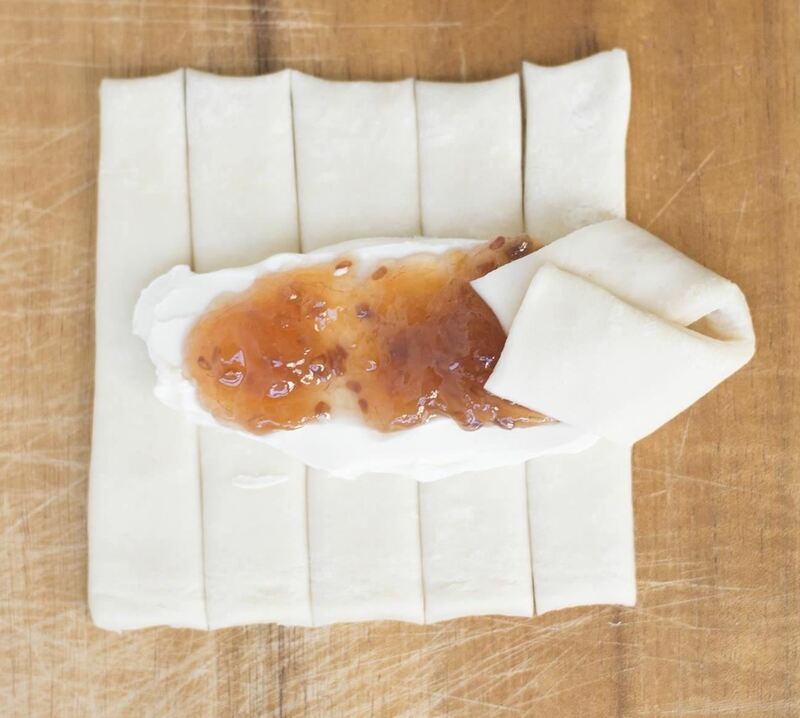 Fold one of the strips diagonally down toward the center and onto your filling, as shown below. Then, take the tab below it and fold it over on top of the other. 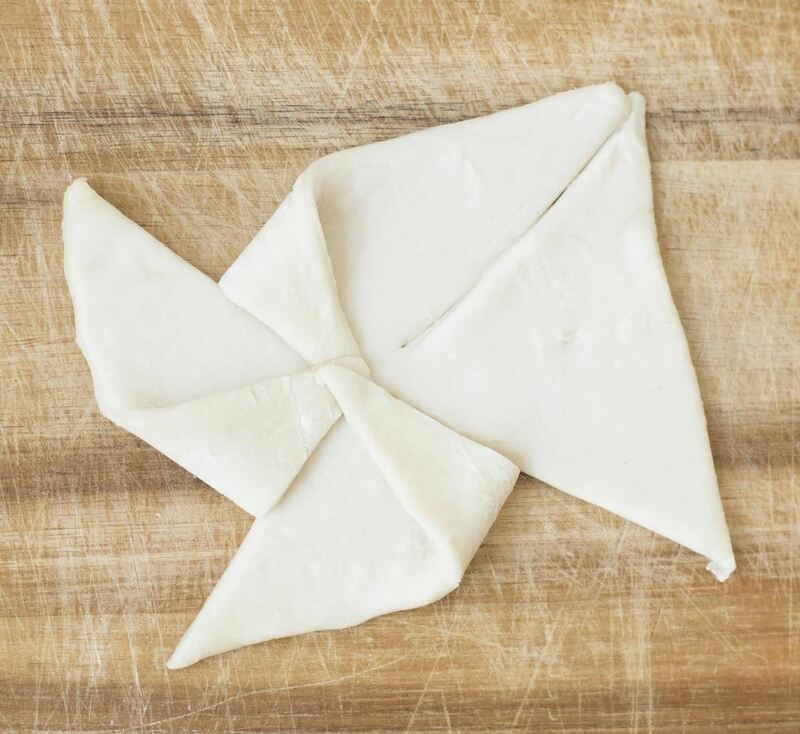 Repeat this folding pattern until finished. 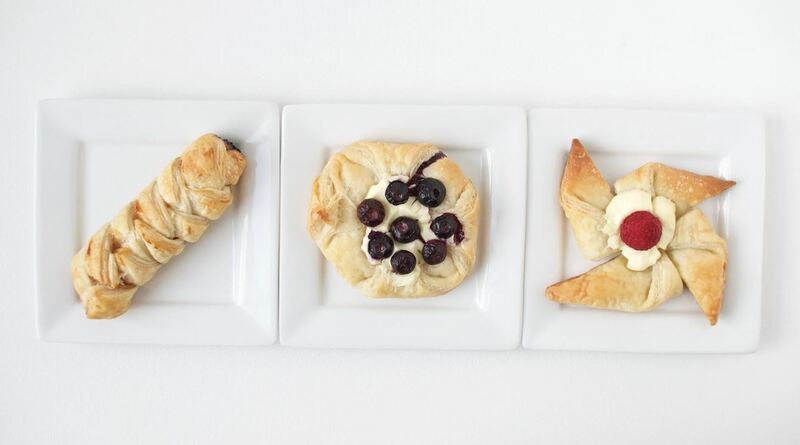 Finish your remaining pastries to your liking and bake at 400°F for about 15 minutes. Once the edges are golden-brown, remove the pastries from the oven and admire your handiwork—you've just baked pieces that would be right at home in any glass case at your favorite bakery. 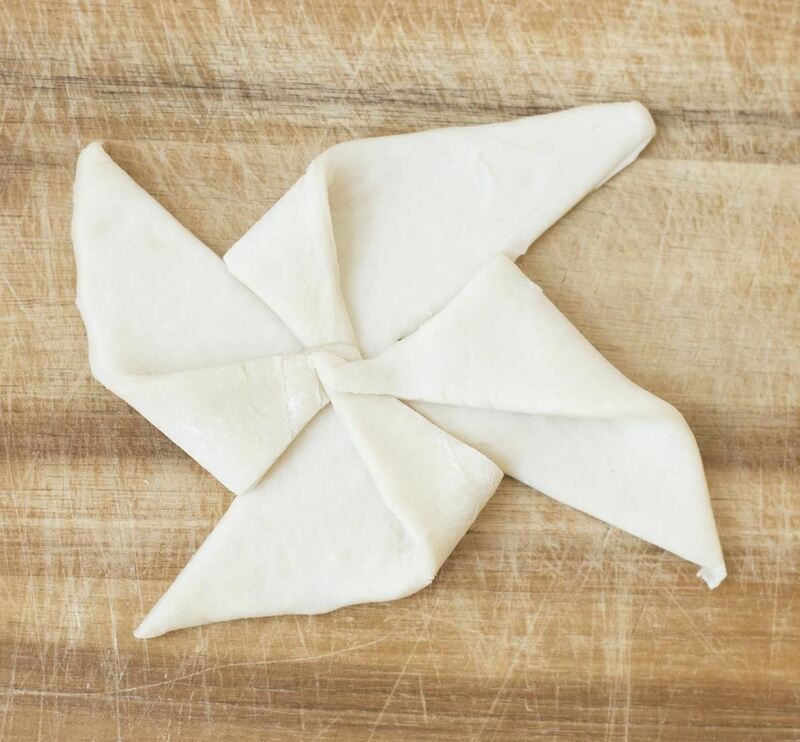 Be sure to relish in the sweet scent wafting through your kitchen, for now, you are indeed the pastry-creating king or queen you always envisioned yourself to be. 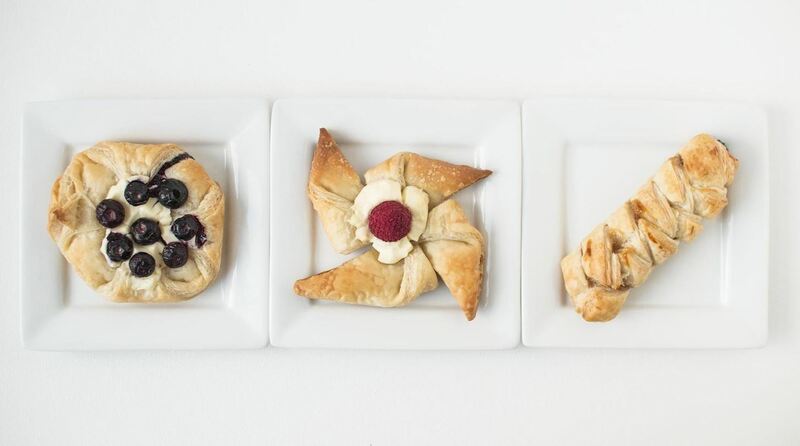 Fear the seemingly complicated designs no longer and let your creative visions take flights of pastry-related fancy!